If the internet is any judge, a lot of people will be really glad to see 2016 out the door. Political turmoil and celebrity deaths have taken their toll, expressed in hashtag memes like #SayByeto2016inagif and #wtf2016. But that doesn’t mean there hasn’t been anything to celebrate, and in ASC Education, 2016 had quite a few high notes! Most excitingly, we officially welcomed Lia Wallace and Adrienne Johnson to the Education team! Both are recent graduates of Mary Baldwin University’s Shakespeare and Performance MLitt/MFA program. Lia began work with us way back in 2012 as an intern, then became an Education Artist, and is now our College Prep Programs Manager, overseeing the ASC Theatre Camp. Adrienne has previously served time (like Director of Education Sarah Enloe also did, back in the day) as personal assistant to Director of Mission Ralph Alan Cohen, and she is now our Camp Life Coordinator as well as the ASC Company Manager, responsible for the upkeep of the Playhouse and other properties. You can read about their transitions into these positions here on the blog: Lia and Adrienne. Big events this year included the No Kidding Shakespeare Camp trip abroad: Shakespeare’s England: A Land of Lords. 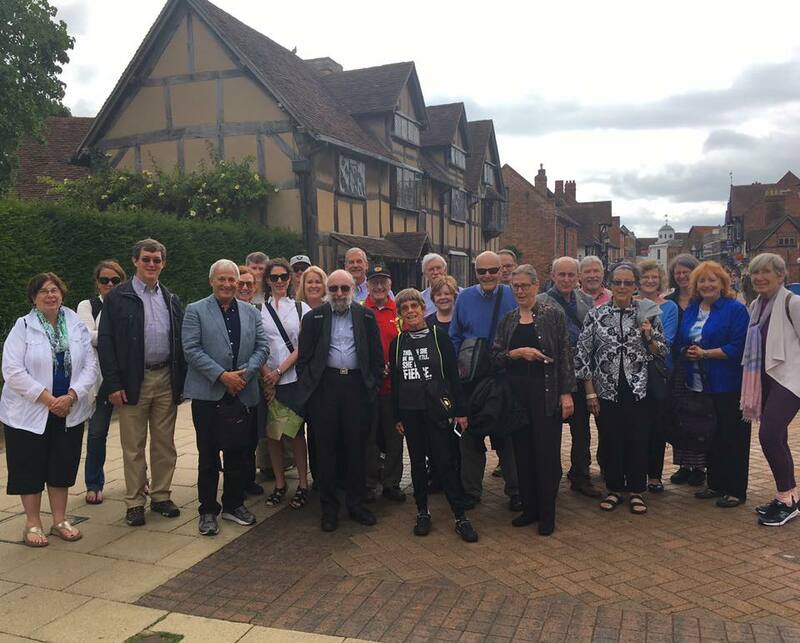 For ten days, Ralph, Sarah, MBC Professor Mary Hill Cole, and I shepherded a fantastic group of 22 Shakespeare enthusiasts around England and Wales. In the Cotswolds, the moors of York, and the fens of Cambridge, we wandered through history, discovering the world as it would have been familiar to Shakespeare and his audiences. To catch up on those adventures, check out the NKSC16 tag. 2016 also saw the publication of two all-new Study Guides, in addition to updates to several volumes. 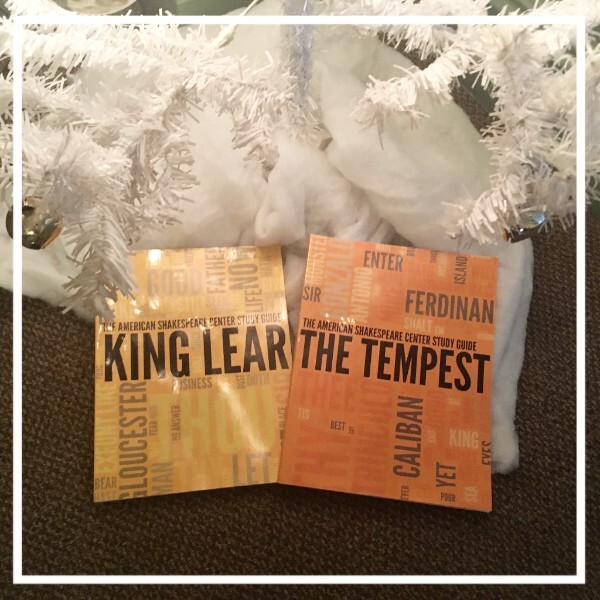 The Tempest and King Lear were on the Student Matinee line-up for the first time in my tenure, giving me the opportunity to dive into two of Shakespeare’s best-beloved works. We’re celebrating with a flash sale on those two guides, so nab yours before 5pm today to save 20% on these shiny new volumes! Buy King Lear or The Tempest ASC Study Guide. In April, we commemorated the 400th anniversary of Shakespeare’s death with a block party that spanned downtown Staunton. 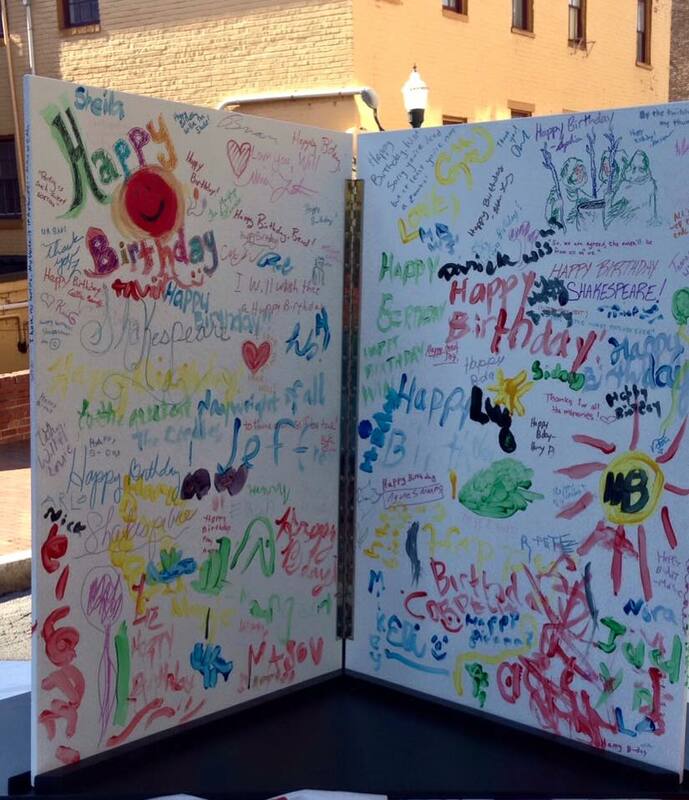 Hundreds came to enjoy the food and wares offered by over two dozen merchants, and children of all ages got to experience mini-workshops and Shakespeare-themed craft activities, delivered right in front of the Blackfriars Playhouse. You can see pictures from that event here. We also partnered with UVA’s Special Collections Library as it housed a traveling copy of the First Folio, offering workshops in Charlottesville in April, ahead of the Folio’s arrival, and in October, when the tome was on-site. In December, we had a Staged Reading in a new format as a special event: rather than having one group perform a 90-minute show, four groups came from across the Shenandoah to put on four shorter shows, all demonstrating how English drama has marked the Christmas holiday throughout the centuries. With a mummery from Shenandoah Governor’s School, a mystery play from Shenandoah University, a vaudevillian masque from Spectacle and Mirth, and a Victorian-style pantomime from Stuart Hall, we filled the Playhouse with mirth and laughter for a festive night at the start of the holiday season. And, as ever, we had a year’s worth of Student Matinees, Little Academes, and other workshops. In the 2015-2016 school year, we welcomed over 11,000 students from 284 schools, homeschool groups, and other organizations, and we have already had 142 groups join us so far in the 2016-2017 school year. We also welcomed International Paper back for their fifth Leadership Program, and we’re looking forward to seeing them again this spring. So what’s forthcoming in 2017? 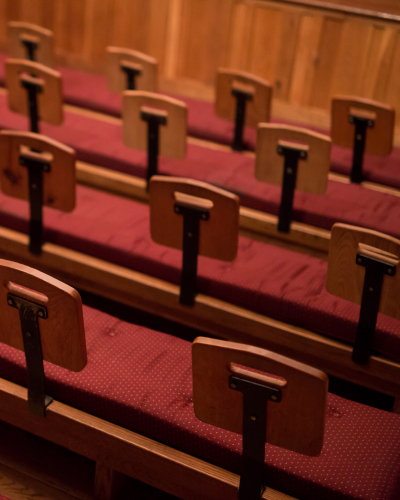 More of everything: matinees of The Merchant of Venice, Romeo and Juliet, and Much Ado about Nothing; all-new study guides on Love’s Labour’s Lost, the Henry VI plays, and Sense and Sensibility (that’s right! I’m taking on Austen for the adaptation that will be on the 2017-2018 tour); Leadership Programs on-site at the Playhouse and at the Federal Executive Institute in Charlottesville; visits from the Road Scholars; the No Kidding Shakespeare Camp back in Staunton to explore the theme of Shakespeare and art; ASC Theatre Camp 2017, featuring 1 Henry IV, Titus Andronicus, and The Sea Voyage in Session 1 (June 18-July 9) and King Lear, Love’s Labour’s Lost, and The Knight of the Burning Pestle in Session 2 (July 16-August 8); and, of course, since it’s an odd-numbered year, the Blackfriars Conference (Oct 24-29) will welcome hundreds of scholars and students to celebrate Shakespeare and his contemporaries. Happy New Year from all of us at ASC Education! We hope to see you soon, whether at the Playhouse or out on the road.